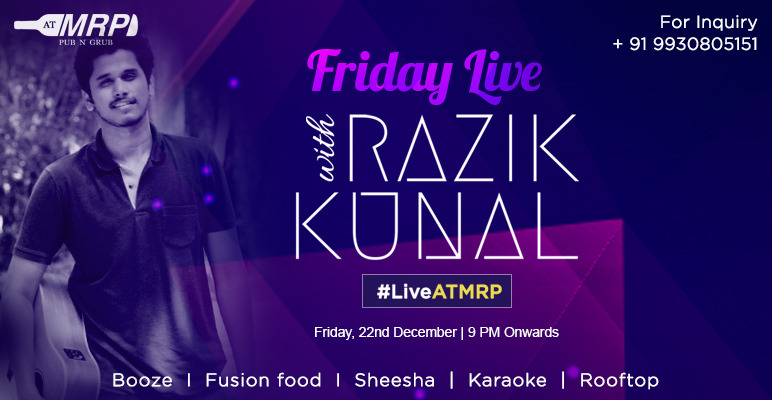 A duo band that’s been repeatedly attracting whistles and hum-along from the crowd, Razik Kunal hits the stage tonight with their mesmerizing versions of Bollywood hits. If you have a song to dedicate to your date or a friend, you’d be in for a treat by them. Besides their soulful music on the charts, you’ve got booze, food, and sheesha freshly served too.